​Chelsea have been told that they must break their transfer record if they want to sign Callum Wilson from Bournemouth as a solution to their attacking problems. Alvaro Morata and Olivier Giroud have scored just six Premier League goals between them this season, and Maurizio Sarri wants to improve the Blues' top four prospects by signing a striker in this transfer window. 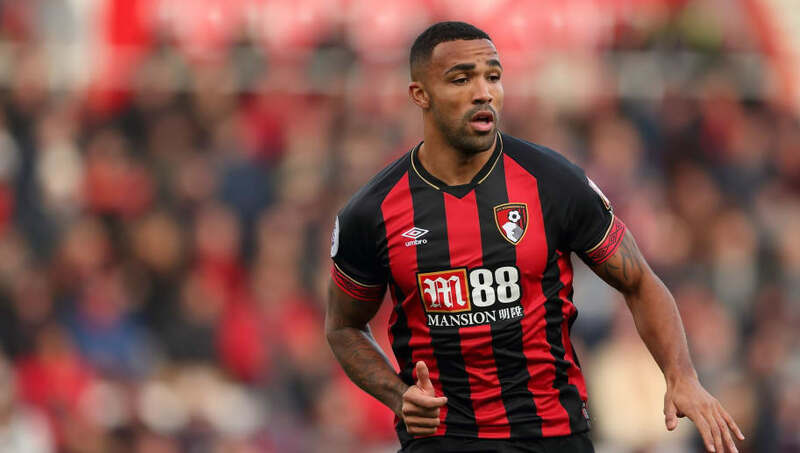 With ten goals and six assists to his name, Wilson has been one of the most productive players in the Premier League this season, and ​Bournemouth will stop at nothing to ensure he stays at the club this month. The Sun reports that the Cherries have slapped a £75m asking price on Wilson. If a deal were done at that price it would make him the most expensive English footballer of all time. Eddie Howe said after Bournemouth's defeat to Everton on Saturday that ​he would not sell Wilson at any price, though he admitted it could be out of his hands if a huge bid was tabled. "In my opinion, and it's just my opinion, I wouldn't sell at any price, but I'm the manager of the team trying to create the best team that I can," said Howe. "We desperately want to take the team forward and to do that we have got to keep our best players. "He is a very important member of the team. He has unique attributes that really complement what we do here. He's been a really good goal scorer for us this season, that's the hardest things to do in the sport so we value him really highly." ​West Ham have also been linked with a move for Wilson if Marko Arnautovic leaves for China, but Bournemouth would be even less willing to do business with a mid-table rival.